So every year on Valentine's Day I feel like people go out and buy the most expensive gifts in order to show their loved ones how much they mean to them. This year I am challenging the girls to a DIY Valentines gift! Sometimes making a gift can mean even more than a store-bought gift. Anyone who knows me knows that my husband and I are avid winos—and plant people! So I figured I would make a gift that combines the two. 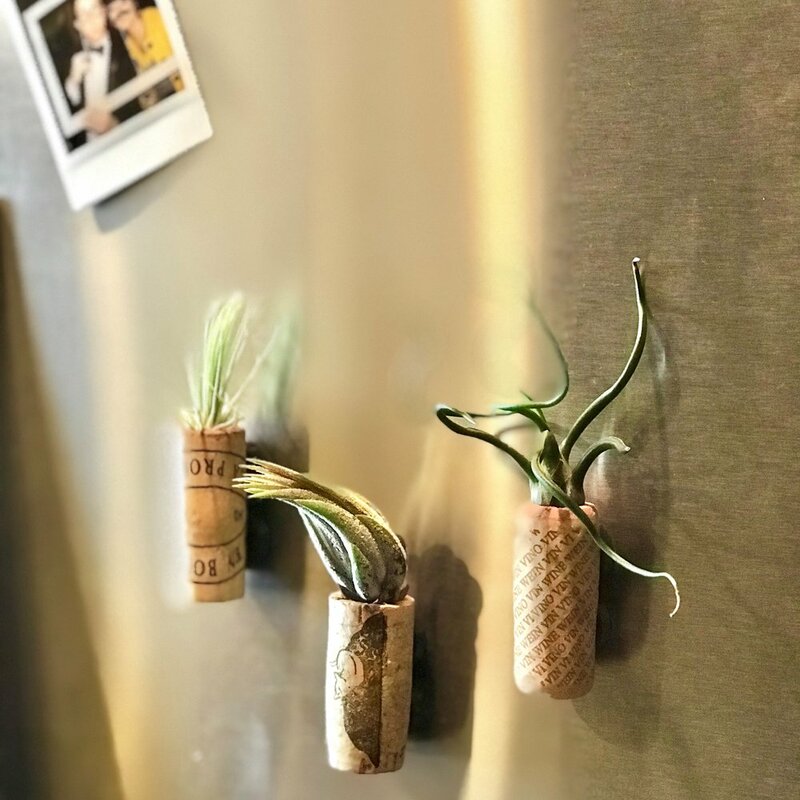 My refrigerator has been looking a little bland, so I decided to make my sweet husband a few air plant holders out of wine corks. 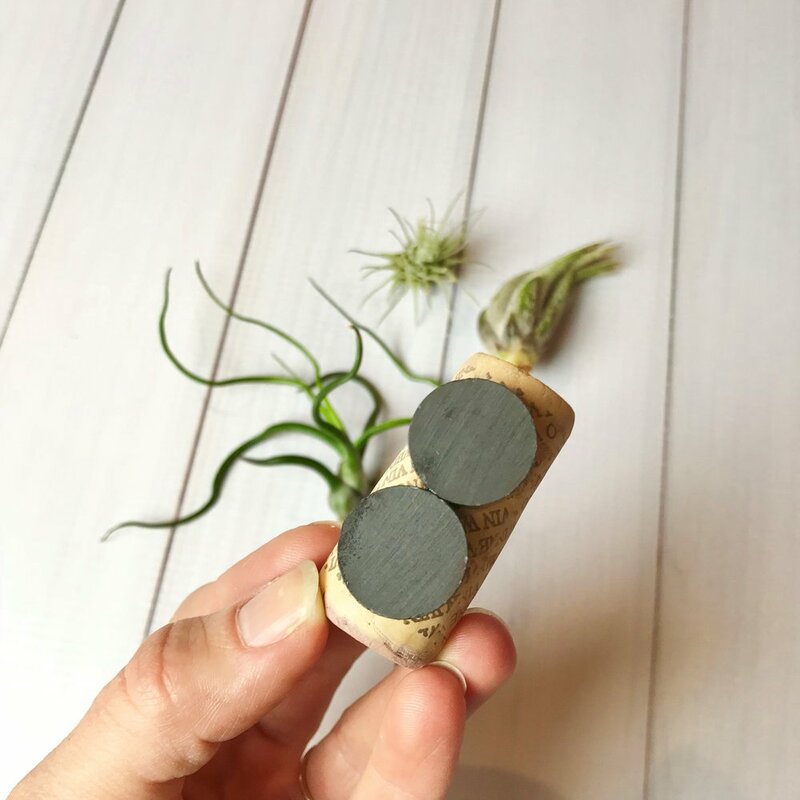 All you need to make this great gift are three wine corks, three air plants or small succulents, six small round magnets, a knife to hollow out the corks, and your choice of glue. Normally I am a hot glue gun kinda gal, but my brain is scattered right now and I can’t find anything, so I settled for super glue. First, take your corks and carefully hollow out the tops to the width and depth of the plants that are going in them. Next, put superglue on the backs of the magnets and place the corks on top in the position you want. Let them set for at least 10 to 15 minutes (if using a hot glue gun, timing will be less). 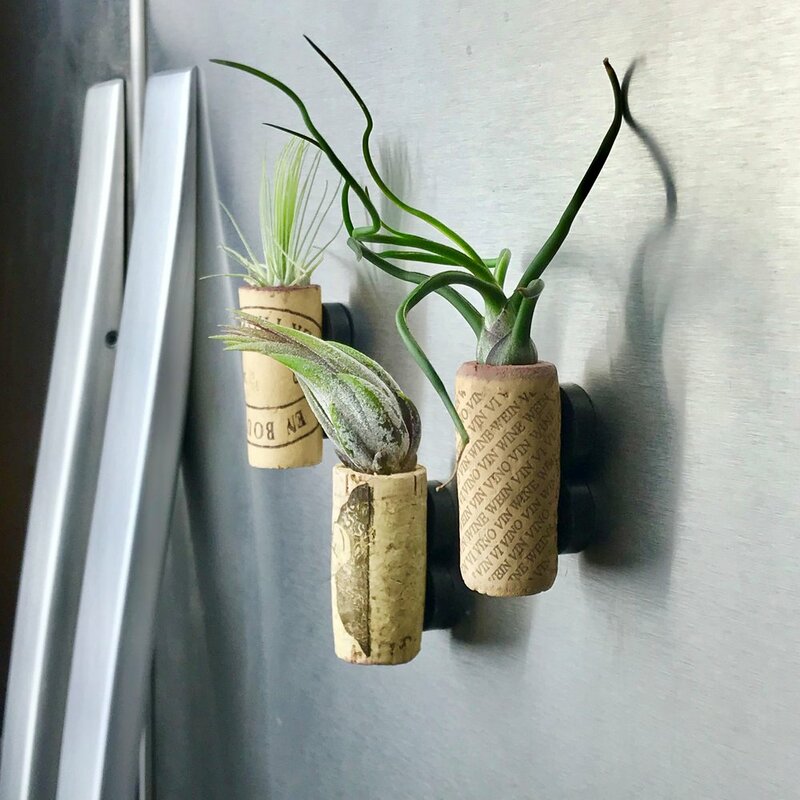 After your magnets are set, place the air plants in the corks and arrange on the refrigerator! If you are using succulents, you will want to place a little soil in the bottom and around the edges of the plants—so you will need to hollow out a little deeper. I spray my succulents with a little water every Sunday to keep them fresh.